Last week we told you about this unique Shelby GT500 prototype that would be going up for auction. The car was used as a test vehicle to develop the 2013 Shelby GT500 and was driven at tracks like Sebring International Raceway and Ford’s Arizona proving grounds. Ford decided to put the car up for auction tonight at Barrett-Jackson, and generously donated the $300,000 to charity – the Juvenile Diabetes Research Foundation. As a bonus, the new owner also has the rights to purchase the very first production 2013 Shelby GT500. Summary: A special 2013 Ford Shelby GT500. All proceeds to benefit JDRF. Will be sold at approximately 8:30PM Saturday, Jan. 21, 2012. Details: This Shelby GT500 Durability Car is a rare piece of muscle car history, and is the car that the SVT team and Carroll Shelby signed off at the racetrack. It is the genesis and inspiration for today’s Shelby GT500 production Mustangs that are available at Ford dealerships nationwide. “I’m really proud to have my name on this car that you guys [Ford SVT Team] have put together working with my dreams of what I think a car should be. And you made it that and more,” said Carroll Shelby. 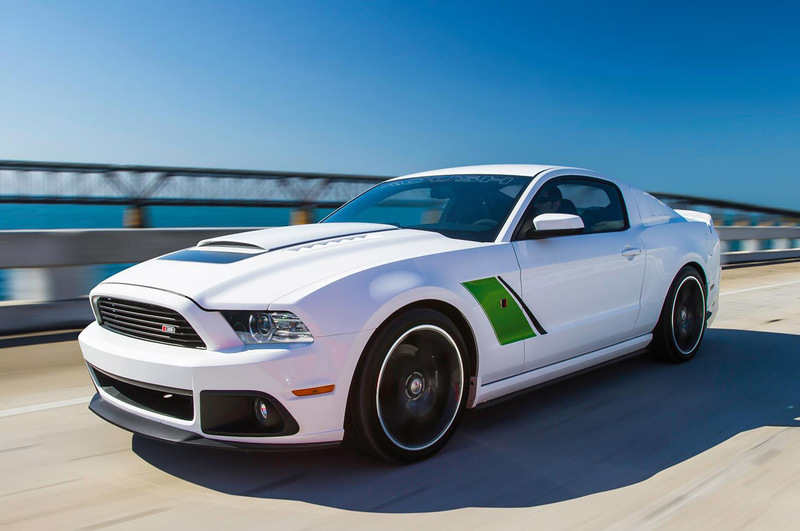 This Shelby GT500 Durability Car was designed and engineered by the Ford SVT team working together with Carroll Shelby. Ford SVT assembled much of this GT500 Durability by hand and then tested it on Sebring International Raceway, the High-speed Oval track at the Arizona Proving Ground, as well as the Route 66 road course, among others. 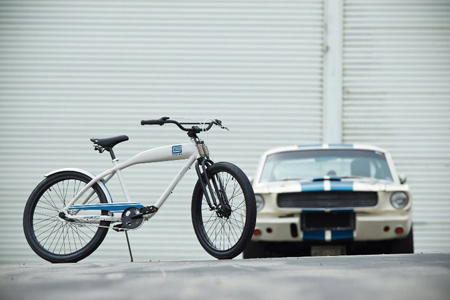 It was personally piloted by Carroll Shelby during many hours of its testing. As a result of its testing, this Durability Car allowed the production GT500 to feature a 5.8L supercharged aluminum-block V8 engine cranks out 650hp and 600 lb/ft of torque, making it one of the most powerful cars ever built. Handling is world-class with a TORSEN limited-slip differential, carbon fiber one-piece drive shaft, front and rear Bilstein adjustable dampers, performance-tuned front and rear springs and front and rear stabilizer bars. The car stops on a dime with 6-piston Brembo front brake calipers, ABS Ventilated 4-wheel disc brakes and Electronic brake distribution. This vehicle is sold on a bill of sale; it cannot be titled and will be registered in the Official Shelby American Registry. This entry was written by by MustangsDaily (Mustangs Daily) and posted here on Saturday, January 21st, 2012 at 9:16 pm and is filed under 2013 shelby gt500, 2013 shelby gt500 durability car, 2013 shelby gt500 prototype, barrett-jackson, barrett-jackson 2012, GT500, News, shelby, shelby gt500. This article was not written by us, rather gathered using RSS feeds listed here. We take no credit for this article. You can leave a response, or trackback from your own site.